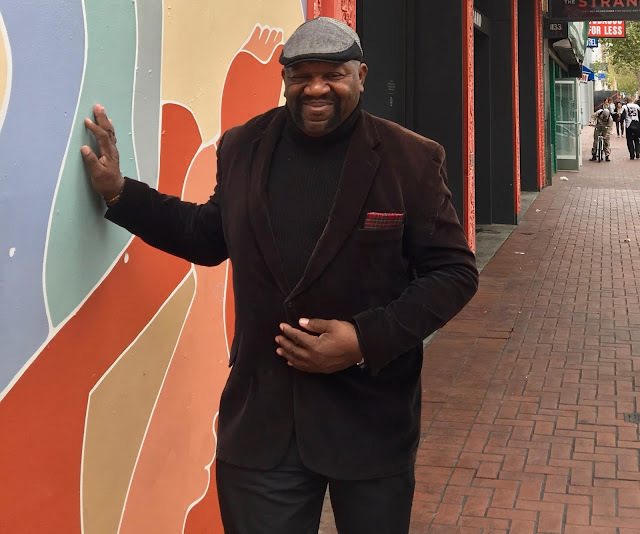 Meet Oliver Sutton: US Navy veteran, published poet, competitive power-lifter, hat collector, father to three, and A.C.T.’s head of security at The Geary Theater. You can’t miss Oliver. For 20 years, he’s been at the front door, sporting a smile and sometimes a top hat. If you say hello, you’re sure to hear a story, complete with bubbling chuckles and impersonations of each character involved. We recently sat down with Oliver to enjoy some of those stories. When did you first start working security? Turns out, even watching paint dry can be fun. The hallway walls of our 30 Grant offices are usually decorated with posters from previous productions. But last week, they were stripped to prepare for a new coat of paint. 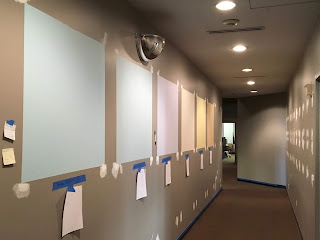 With an infinite number of paint colors in existence, selecting a single shade was no simple task. It required everyone. Staff members voted on their favorite shade by signing their name to the piece of paper below their favorite swatch. A few days of playful bickering ensued. After all, each color carried implications. Yellow, for example, is peppy and potentially inspiring, but blue might do a better job calming the stress of a busy season. Some ideas were more bold. Maybe we should paint a mural, or do a collage of colors. Why limit our fun? But in the end, Celestia Blue proved the clear winner, earning a whopping 20 votes. The runner up only earned eight. In that sense, this was a paint-by-number project—one that proved a success. Mistakes may be our best teachers, but for A.C.T.’s M.F.A. students, teaching is their best teacher. Our M.F.A. students graduate not only with a degree in acting, but also with a certificate in citizen artistry—integrating who they are as artists with who they are as people and exploring ways to comprehensively impact their communities through theater. 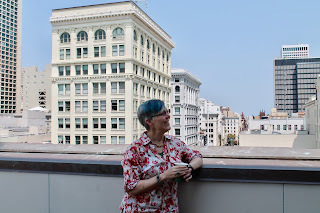 There are changes afoot at The Geary. While the theater is dark this summer, our production team is upgrading a vital but mysterious piece of infrastructure: the stage management panel. Unseen by theatergoers, this panel controls many important systems that keep our shows up and running. Its communication system enables stage managers sitting up in the booth at the top of the balcony to talk with crew members backstage and cue scenery changes. Its paging system lets them call actors to the stage in preparation for their next entrance. 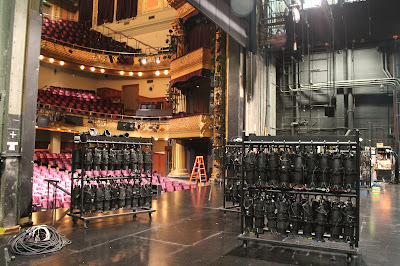 And its cue system provides stage manager with control of all the lights in the theater; they can dim the houselights and cue all light changes throughout the performance. Last month, Pam MacKinnon took the reins as A.C.T.’s artistic director and she has hit the ground running. Before the opening of the 2018–19 season, she gave us an insight into her thinking behind A.C.T.’s upcoming season. What are you looking forward to with the season opener, the Pulitzer Prize–winning Sweat? Sweat is a theatrical testament to the phrase, “The personal is political.” Set in the once prosperous Reading, Pennsylvania, and based on weeks of interviews by playwright Lynn Nottage, this play is about what happens to friends, family, and co-workers when the unions roll up and the American dream seems at an end. I’m excited for Loretta Greco, a director whose work I have admired for more than 20 years, to bring this future American classic to life at The Geary. Why are you drawn to Men on Boats? 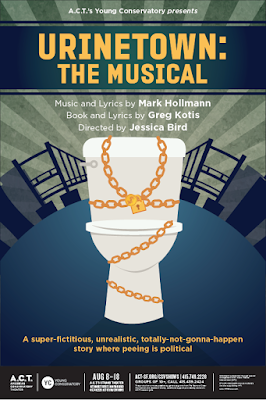 It’s not every day that you get to see a musical about pee, but the Young Conservatory’s current production of Urinetown provides just that. Characters dance across the stage with their legs crossed as they harmonize about their “privilege to pee” or lack thereof, having audiences howling with pee-your-pants laughter. This satire is hilarious, but it’s also deeply political and requires intellectual engagement. Characters break the fourth wall, directly asking audiences to reevaluate their views on economic disparity, police brutality, and environmental sustainability. 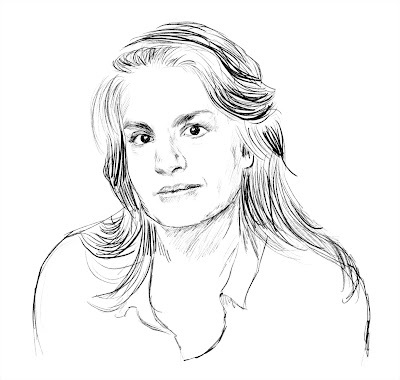 Director Jessica Bird wanted actors to grasp the musical’s relevance firsthand. 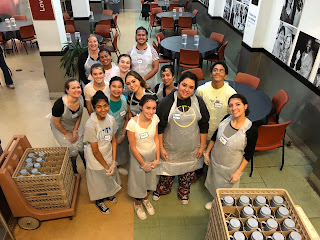 So A.C.T.’s Education and Community Programs team organized several field trips to help students make ties between their real-life community and the community portrayed onstage. Sure enough, six months later, A.C.T. offered her a different position: donor systems coordinator. She accepted. Having constructed props and sets throughout high school and college, she knew she wanted to be a part of a theater. Three years later, the finance position she’d originally applied for reopened. This time, she was hired. Boyce, who was recently promoted to accounting manager, has now worked at A.C.T. for 15 years, which grants her a unique perspective on where A.C.T. has been and where A.C.T. is going. Urinetown: The Musical—the Young Conservatory show opening at The Strand this week—is not your typical night at the theater. This Tony Award–winning musical takes place in a city controlled by the corrupt Urine Good Company where you have to pay to pee. Urinetown lampoons everything from capitalism to big industry, while backed by the sounds of Broadway-spoofing songs. We sat down with director Jessica Bird to further crack open this clever comedy. Urinetown is comedic satire. It hits you in the gut with how real it is and how it speaks to the state of where we are right now in this country, but it also makes you laugh about it. What's your vision for this production?